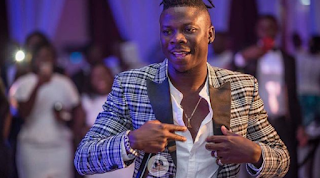 Livingstone Etse Satekla known as Stonebwoy has asked prospective clients who needs his service to perform to book him through his personal management not Zylofon. In an interview on Hitz Fm’s Day Break with Andy Dosty on Monday, May, 7th, 2018 the 2015 BET award winner disclosed if one wants to book him for show should do so through his personal management. The ‘Tomorrow’ singer said; “If you need me to work with you, with all due respect you can contact my manager and my management team will take care of it”. Just contact my manager and we will get it done. If you want to book Stonebwoy, the artiste you’ve ever worked with from day till now please contact Blakk Cedi, Siddi Mohammed”. Well, if this is anything to go by then what it means is that Stonebwoy and Zylofon Media brouhaha persist. Meanwhile, Nana Appiah Mensah who doubles as CEO of Zylofon Media has on several occasions has denied rumours that Stonebwoy has parted ways with the record label taking into the bunch of controversies emanating from both camps.